Motorized Test Stands | IMADA Inc.
Imada offers basic and advanced motorized test stands that are available in Standard, High, and Low speeds. 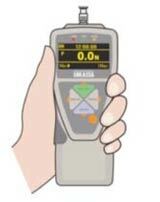 Use ZTS or ZTA force gauges with MX, MX2 or EMX Series test stands to enable force control and non destructive testing. Use any of the standard range Imada force gauges and special attachments to create a dedicated force measurement system for push, pull, snap, peel, penetration, etc.